How can oil production be reduced in the skin? Reducing oil production can be done medically or cosmetically. When acne is severe and causing scarring, it becomes necessary to use an oral vitamin A based medicine. This must be prescribed and monitored by a dermatologist. If the acne is mild to moderate medical options for girls included the oral contraceptive pill, which helps to regulate hormones that can cause excessive oil production. For boys and girls, a vitamin A cream can also help to dry up the gland. To be effective, however, they must be in prescribed medical strengths. Girls should also ensure that they remove all traces of makeup daily and if possible switch to mineral makeup, which does not interfere with the skins natural oil production or clog pores. ARGERA has a range of medical grade skincare that can be very effective in helping to reduce active acne. How can skin exfolitation be improved? This is point is crucial to fighting acne. There are a number of cosmetic options. 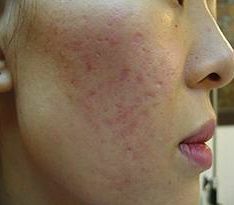 The fine sandblasting, known as microdermabrasion, can be very effective but for a few can worsen their acne. ARGERA offers a medical microdermabrasion option that includes infusion of medical grade skincare to treat active acne. Another option is to chemical peel the skin. 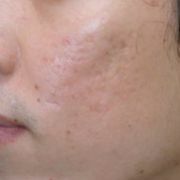 This is best done as a series of superficial peels, which causes minimal impact on daily life. In addition the use of skin care containing natural, exfoliating agents, such as the alpha and beta hydroxyacids, is a must. Many of the over the counter acne treatments act to dry out the skin. This only results in worsening acne as the body tries to compensate by increasing its production of new skin cells leading to further blocking of the pores. The aim is not to dry out the skin, but only to gently remove the build up of dead skin cells. The moisture balance must be maintained. How can acne be prevented from being infected? The first most obvious way to prevent skin from getting infected is not to touch it. 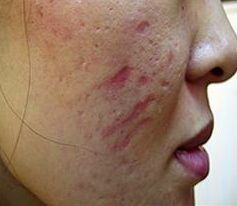 Many people suffering acne are tempted to touch their faces with their hands or to squeeze the pimples. This leads to infected skin and often scarring. Touching the skin is often subconscious and becoming aware of this habit can make a huge difference since people naturally carry bacteria on their hands and under their nails. The prevention of infection involves ensuring that the skin stays at the appropriate pH to allow its natural defense mechanisms to work efficiently. This is why choosing the correct skin care is essential. Chemical peeling has a secondary effect of also stripping bacteria from the surface of the skin. If pustules are a particular problem of acne then medically, oral or topical antibiotics can be prescribed. 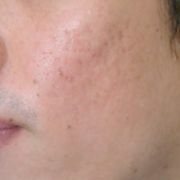 Can acne scarring be treated? 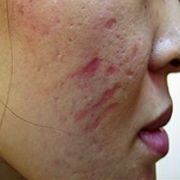 Once acne is no longer active an attempt can be made to help improve the damage that has been left behind. It should be emphasized that it is far better to prevent the damage by early intervention with treatments as once damaged it is highly unlikely that the skin care be restored fully to its pre-acne state. Acne scarring is so detrimental to the skin because the scar tissue creates connections that drag the epidermis to the dermis. These need to be freed before a smoother complexion can be gained. This is usually performed using a needle and a special technique called subcision. Alternatively, these scars can be excised, or cut out. Carbon Dioxide (CO2) laser can remove the top layers of skin to allow a clearer, smoother skin to grow back. Laser is limited to lighter skin types only and can cause permanent pigmentation problems or worse scars in Asian and darker skin types. Recently, ARGERA has been getting some amazing results with combined plasma therapy, medical rolling and now the Endymed® Intensif offers maximal acne scar reduction for all skin types. This appears safe on all skin types and utilizes the skin's natural ability to heal. 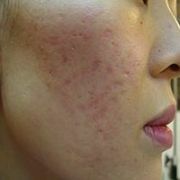 How can Argera help acne? Choosing the correct treatment for acne requires a good knowledge of skin as well as experience with multiple treatment options. 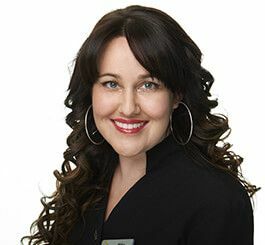 A visit to an experienced and qualified cosmetic doctor can be a worthwhile venture if unsure of where to start with good skin care or to treat an existing problem. Our doctor’s skin assessments are honest and accurate with the view to trying to provide the best outcome for the individual. ARGERA also stocks only the best in medical strength cosmoceuticals at extremely affordable prices thus taking the confusion out of buying skincare. 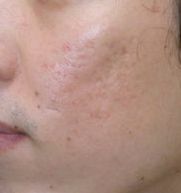 ARGERA also offers one of the most extensive options of proven acne treatments to treat all types of skin including the Endymed® FSR radio frequency skin treatment that improves acne from improved exfoliation, reduced oil production and anti-bacterially, to the Clear and Brilliant® system to chemical peels. ARGERA has it all!